World markets are higher so far Wednesday with optimism boosted by data in China which showed an expected 10 per cent rise in fixed-asset investment. Meanwhile the country’s shoppers have been online spending in record numbers as their cyber sales event “Singles Day” saw $1 billion spent in just 8 minutes. The world’s biggest shopping day, which overshadows Black Friday and Cyber Monday, exceeded last year’s $9.3 billion of spending through Alibaba’s Alipay service by lunchtime. 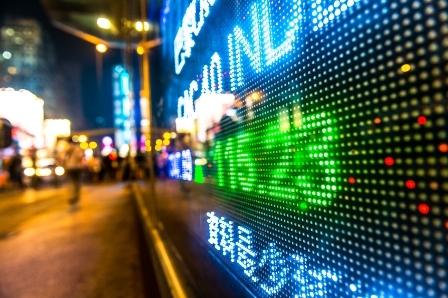 Asian markets closed higher with only Hong Kong’s Hang Seng index lower. European markets are also largely higher on the Chinese investment data and ahead of a speech by ECB president Mario Draghi. Toronto and Wall Street are expected to open higher after mixed sessions Tuesday. The S&P 500 rose for the first time in five sessions but the Nasdaq and Canada’s TSX were both lower. Four indictments were unsealed Tuesday revealing that four people, including a US citizen, have been charged with stealing personal details of 100 million US financial institution customers through hacking. The US courts are seeking extradition of three of the men, who are living in Israel and Moscow. Quantitative easing in Japan and Europe won’t help their economies, neither will lowering interest rates. That’s the opinion of Axel Weber, chair of UBS, who told CNBC that he can’t see the economies driving inflation back to 2 per cent. He also called for the Fed to begin its increase of interest rates, highlighting that improvement in the economy now warrant the move.